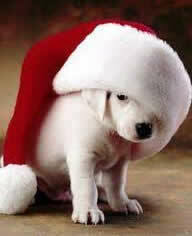 * Mistletoe, holly, poinsettias and Christmas lilies are all toxic to pets when ingested. When using holiday plants to decorate your dining table, move them to a location where pets can’t reach between mealtimes. * Tape down electrical cords for holiday lights to prevent chewing on them and unplug tree lights before leaving home. * Secure your Christmas tree to the wall or ceiling to keep it from falling on pets. Don’t let pets drink water from the tree holder. * Keep tinsel and other ornaments well out range of pets. Cats in particular like to play with tinsel, and some will eat it, which can block intestines. Pets can mistake ornaments for toy balls to pets, and shards from broken glass ornaments can cause injury to mouths and paws. * To reduce stress, maintain your pets’ routines. While vacationing in our Cape May pet friendly rentals walk your dog as you always do. Serve their meals at regular times. Make sure fresh water is always available for them. * Remember that holiday foods that are fine for people can make pets seriously ill. Macadamia nuts can cause muscular weakness, depression, vomiting, disorientation, tremors, abdominal pain and muscle stiffness in dogs. Chocolate can be fatal; ingesting as little as 1/4 ounce can cause vomiting, diarrhea, seizures, hyperactivity and increase thirst, urination and heart rate. We have quite a few Cape May pet friendly rentals for you to stay in with your pets while visiting the area. We hope everyone is having a safe and enjoyable holiday this year! Previous Previous post: Merry Christmas & Happy Holidays to You!